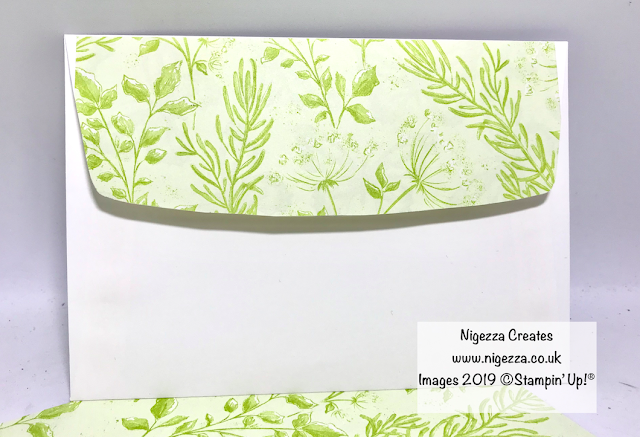 Thank you for visiting my blog, I really do appreciate it and hope you like the project and will take a look at the video tutorial as well. 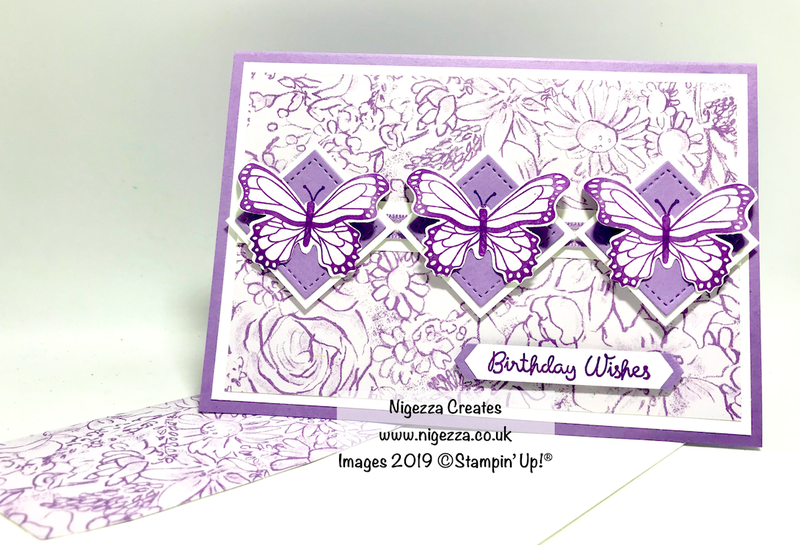 Todays project is a card I made for a sketch challenge. 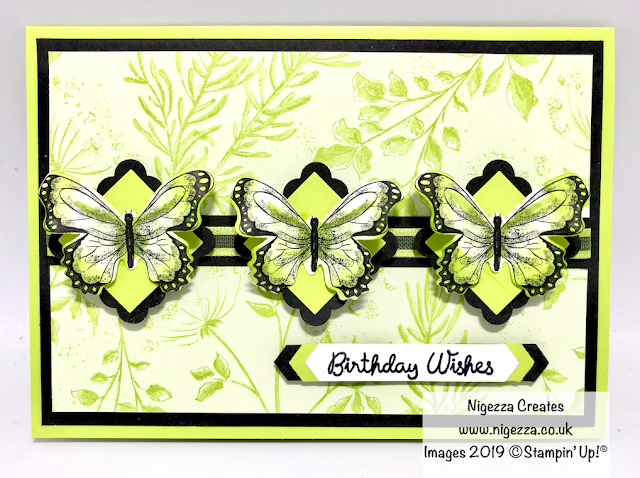 I dd it first in Lemon Lime Twist then made a Highland Heather one for the video tutorial. I know which one I like best, which one do you like best? 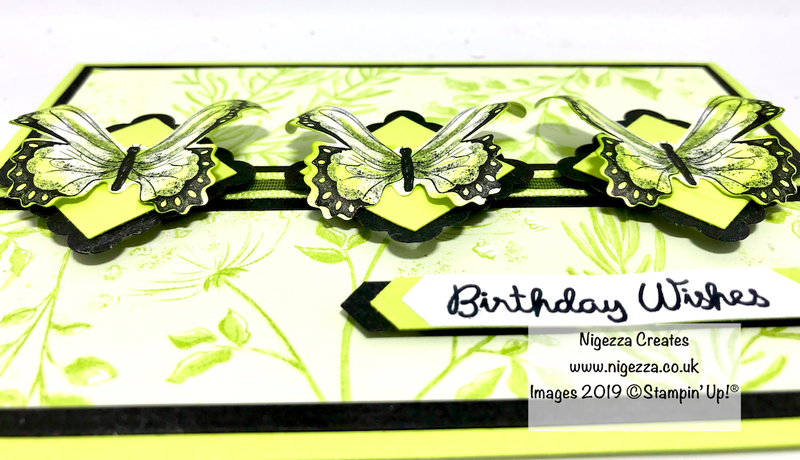 I hope you will click onto my YouTube channel and see how I created this card. Over on the Facebook group Stampin' For All, where I am a member of the Design Team, 2 challenges are set each week. Every Monday it is a theme and every Wednesday its a colour or sketch challenge. 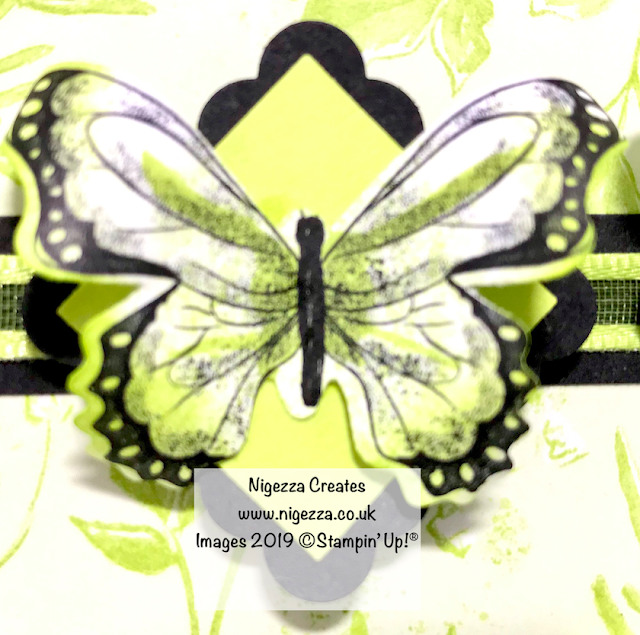 This sketch challenge was set by my very good friend and team mate Jill from Paper Daisy Crafting. 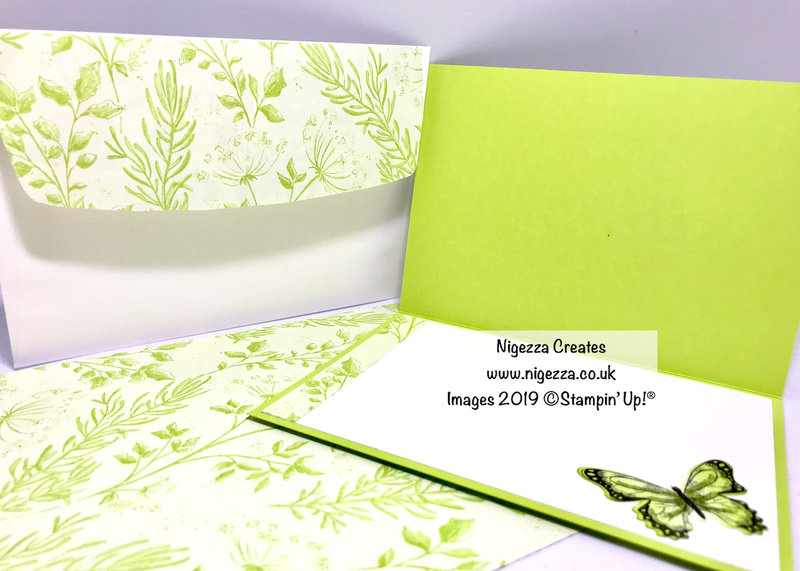 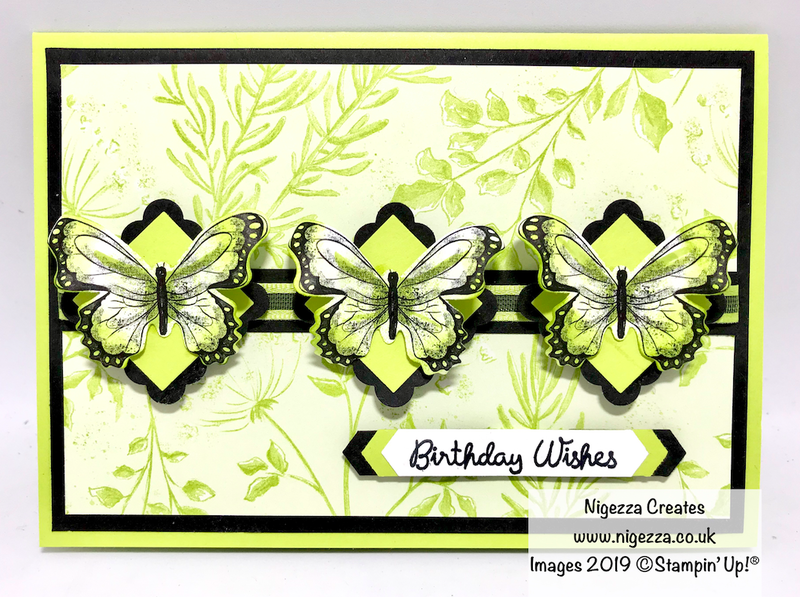 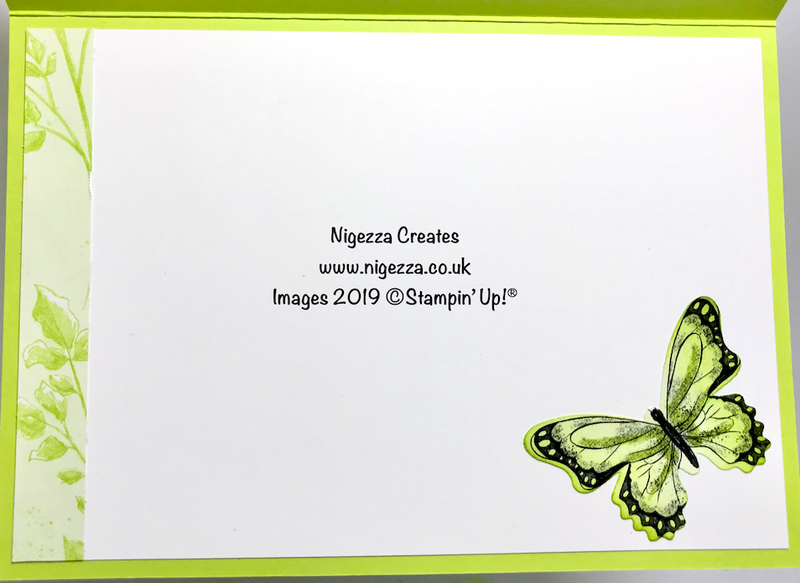 I made my Lemon Lime Twist card for the challenge and people liked it so much I decided to do a tutorial on it but using a different paper from the Botanical Butterfly FREE DSP pack. 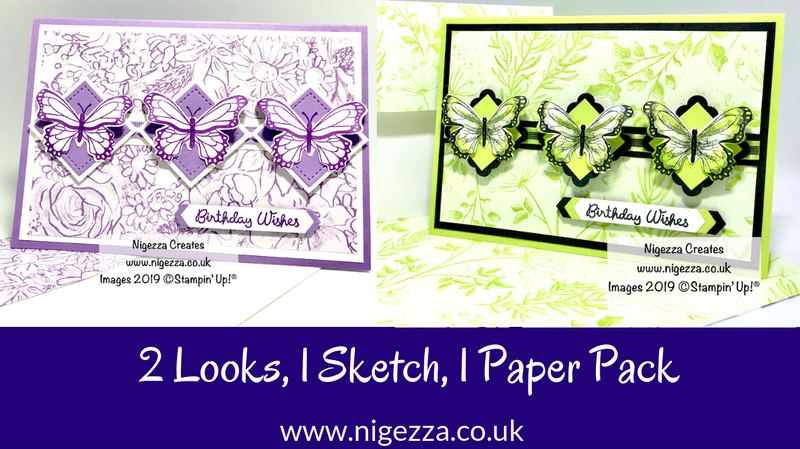 Only one week left of Sale-A-Bration so only one week left to get this beautiful paper pack for FREE. 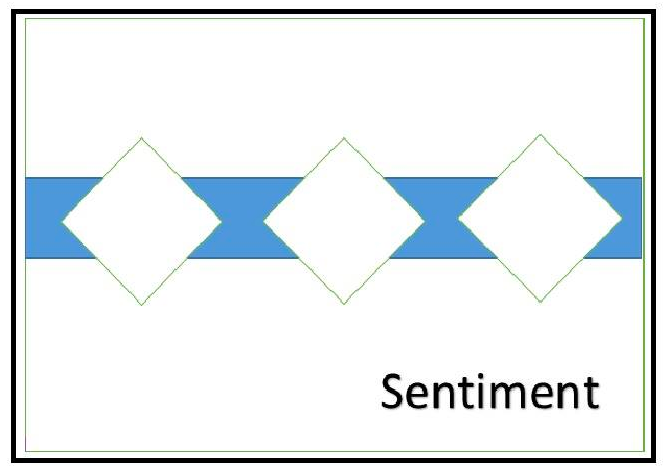 After March 31st you will not be able to get this paper anymore as it will retire. 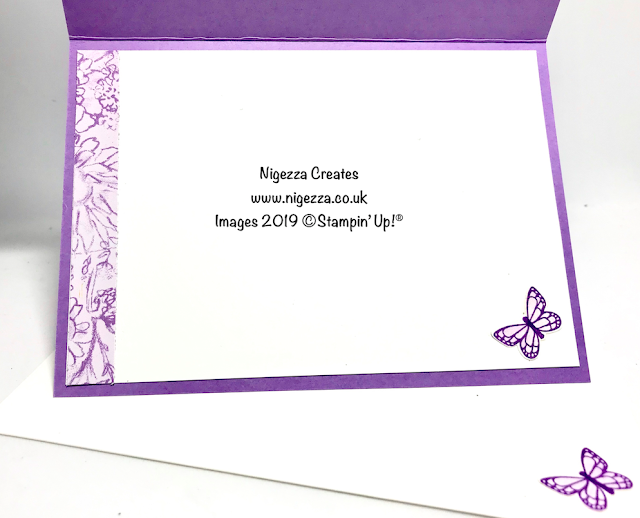 I cheated in the original card and used a punch that Stampin' do not sell but I was in a hurry to meet the challenge deadline! 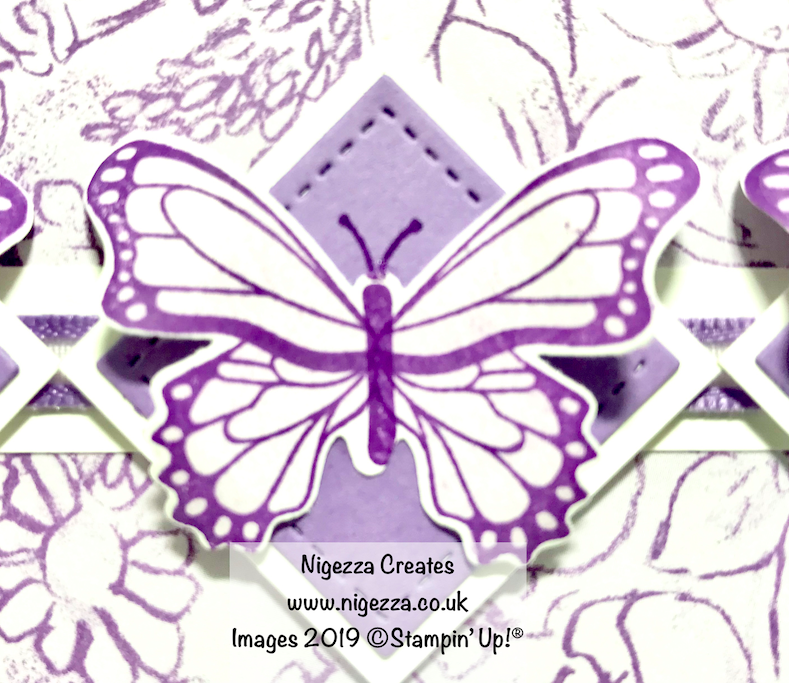 When I recreated it for the video tutorial I used the small square from the stitched shapes framelits. Card base is half a standard A4 sheet of card stock 8 1/4" x 5 7/8"
Folded size 4 1/8" x 5 7/8"
1st Mat is 3 7/8" x 5 5/8"
2nd Mat 3 5/8" x 5 3/8"
I used a strip of Whisper White to go around the middle of the DSP mat 5 5/8" x 1/2"
These were matted onto Whisper White squares 1 3/8" x 1 3/8"
I finished the card of with a strip of the DSP on the inside of the card and the flap of the envelope and used the small butterfly that you get while stamping and punching to add some extra interest. I have never decorated the envelope in this way but I really like it, what do you think?